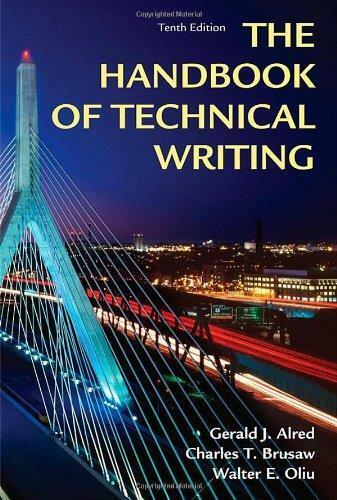 download The Handbook of Technical Writing (10th Edition) By Gerald Alred J. Combining guidance for writing over 40 types of professional documents with thorough coverage of grammar, usage, and style, the “Handbook of Technical Writing” functions as both a writer’s handbook and a complete guide to technical communication. It provides quick access to hundreds of topics and scores of sample documents and visuals. New features in the tenth edition include: updated application cover letter, interviewing for a job, and resume sections; professionalism notes, providing insight to students entering the job market; digital tips; entries on adapting to new technologies, writing grant proposals, and using plain language; new index; up-to-date documenting sources; and, more model documents.